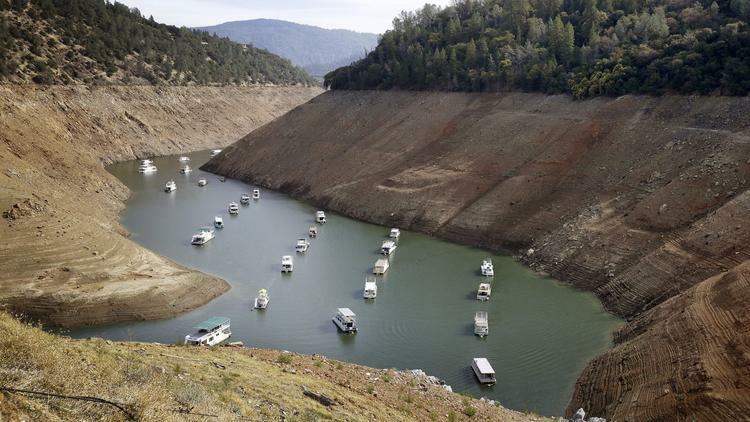 The water crisis in California is no shock to many, the shortage has been an ongoing problem for decades. When visiting friends in the state five years ago I was always told to take 2 minute showers, brush my teeth very quickly, and wash dishes in tubs rather than running water. These are all great suggestions and very useful, but now we’re learning where the majority of the water is going. And it’s not down the kitchen sink. Household use accounts for 4% of California’s water footprint, while 47% is associated with the consumption of meat and dairy products. A report from NASA this past 12th of March, explains that there is approximately one year of water left and no contingency plan. The easiest solution for many, switch to a plant-based diet. Not purchasing a beef hamburger at your local fast-food joint can save more water than you could imagine. Skipping one single hamburger saves 660 gallons of water (LA Times). This means that 6 hamburgers equal an entire year of showers! Please signup to follow our news! We are proudly powered by plants. Special thanks to WordPress. © 2015 LuvBurger LLC. All Rights Reserved.